A little more than a decade ago, Volkswagen announced one of the largest economic development projects in our state's history: the construction of their Chattanooga Assembly Plant. 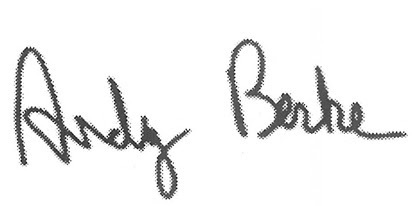 VW chose Chattanooga after they looked at almost 400 possible locations across the country. 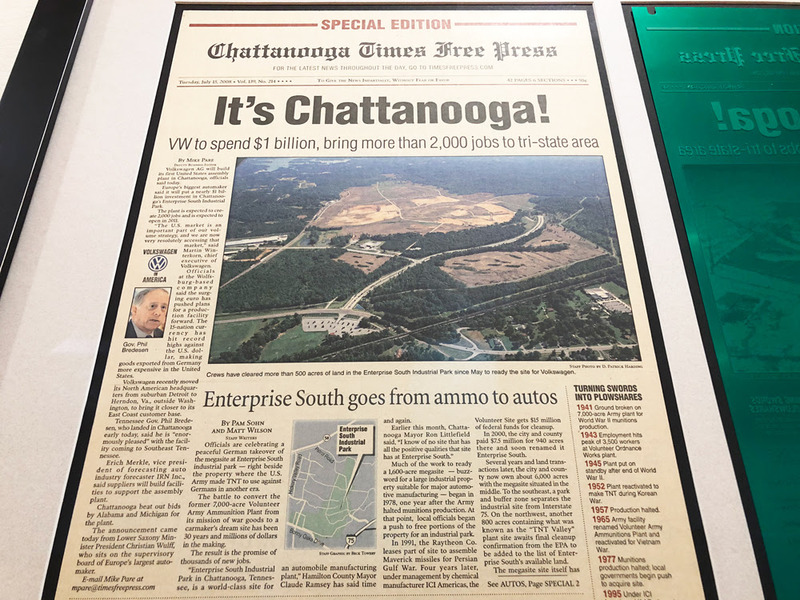 It was a great day for Chattanooga -- particularly since most of the construction of their $1 billion assembly plant occurred during the worst parts of the recession. Since then, Volkswagen's commitment to Chattanooga has only increased, with new models and additional shifts added to meet the growing demand for their cars. 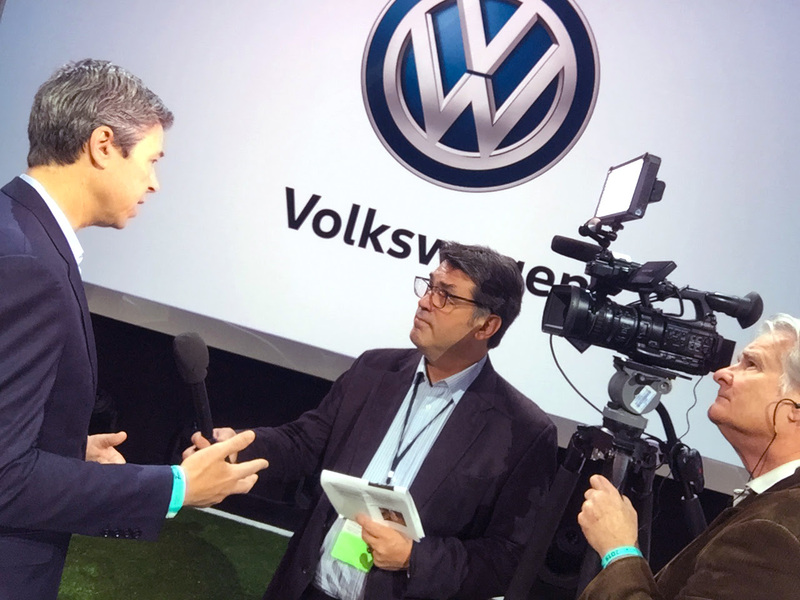 At the Detroit Auto Show this week, Volkswagen announced another step forward -- an $840 million addition to their production facilities that will create 1,000 new jobs for Chattanoogans. This is especially notable because VW is converting their entire fleet to electric vehicles. State-of-the-art technology, a terrific local workforce, and a visionary commitment to environmental sustainability are coming together to create another one of the largest economic development projects in Tennessee, right here in Chattanooga. But the story doesn't stop there -- 10 years ago, Chattanooga didn't have the many suppliers that are helping Volkswagen thrive. Over the last decade, a dozen additional firms have created more than 2,500 jobs and put more than $450 million into our economy. That number will only grow as more cars are manufactured. Ten years ago, smartphones were still pretty new and helpful assistants like Siri, Google Voice, and Alexa didn't even exist. Today, more than 100 million "smartspeakers" have been installed in homes around the world -- and that number is growing fast. 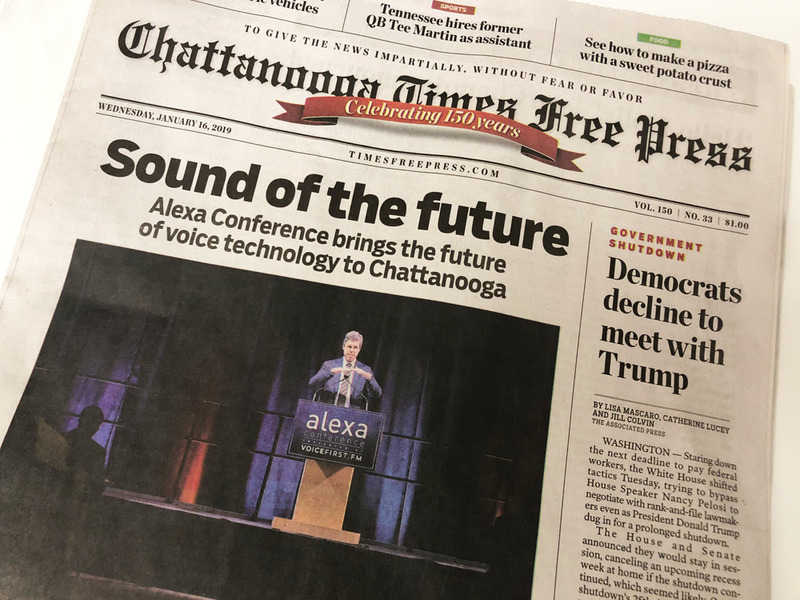 Chattanooga was proud this week to host the second annual Alexa Conference, a gathering of hundreds of engineers, designers, and software developers who are building the next generation of ideas for "voice-first" technology. As I told the conference attendees when I visited them on Tuesday, the future is already here -- and I'm excited that Chattanooga is helping to lead the way. Ten years ago, the Harriet Tubman public housing site was struggling with high concentrations of poverty and crime in a deeply disinvested area of East Chattanooga. Today, that site is owned by the City of Chattanooga and we are committed to bringing good jobs with strong wages to a community that has been asking for them for years. The Tubman site has recently been rezoned in a way that will help us recruit the right private-sector partner to jumpstart some investment in a neighborhood that needs it. More parts of Chattanooga need more opportunities for economic mobility. This week, I've enjoyed thinking about how much Chattanooga has changed and grown in the last decade or so -- but I'm thrilled imagining what we'll do over next ten years. Thanks for all you do to help us thrive.